Our product range includes a wide range of aritha powder, bhringraj powder, brahmi powder, fenugreek powder, hair care tulsi powder and haritaki powder. Since our inception, we are engaged in presenting a wide range of excellent quality of Aritha Powder. The powder is processed into Ayurvedic shampoos and cleansers. This given powder is used for treatment such as eczema, psoriasis, and removing freckles. People suffering from lice on the scalp must apply the powder or derived shampoo to get rid of the issue. It is a natural detergent also used to clean clothes. Our Ayurvedic pharmacists make to apply and use only traditional and pure methods for processing the offered powder. No preservative or chemicals are used during the process. Helps to remove dust and spots from silver and other. Storing Instruction Store in cool and dry place. Keep away from direct sunlight and moisture. Helps in strengthening the hair roots and prevents hair loss. It has a calming affect. Helps to control and get rid of dandruff. Helps promote a good, and well-rested sleep. Caution Pregnant or lactating women are advised to consume Herbal Products under advise of the physician. Famed in Ayurvedic medicine, Brahmi also known as Bacopa Monnieri has antioxidant properties. Bacopa has been reported to reduce oxidation of fats in the bloodstream, which is a risk factor for cardiovascular diseases. 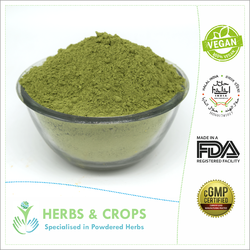 Brahmi powder has been used for centuries to help benefit epilepsy, memory capacity, increase concentration, and reduce stress-induced anxiety. Due to its stress relieving properties, it also prevents premature greying of hair and gives norishment to scalp. Its also know to help in controlling excess hair fall. It supports mental clarity, focus and cognitive capability. Fenugreek Powder is also known as Methi Powder in Indian regional language and well know as Trigonella Foenum in botanical language. It is one of the prime herbs in various ayurvedic cosmetic and medicinal formulations. Due to its richness in protein and nicotinic acids, it is popularly used for making hair growth formulas. 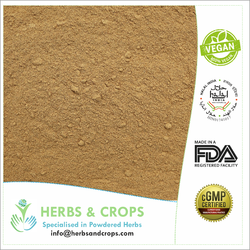 We are among the top exporter and suppliers of Fenugreek powder from India. Our Fenugreek powder is 100% Natural and sourced by various companies and direct consumers to in Ayurvedic, cosmetics, and culinary purposes in food. Widely used in formulating natural cosmetics, and ayurvedic products. Used in curries has a strong flavor. Has many forms such as dry, ground and seed. Holy Basil also is known as Tulsi is helpful to fight with air born infections, bacterial and cough and cold due to environmental changes. Basil can be used as the tonic to a digestive, nervous and respiratory system. Tulsi Powder helps to provide the soothing effect in abdominal distention, nasal congestion, and sinus congestion. Tulsi (basil)promotes healthy and happy mood feeling. Basil also supports a healthy urinary system and urination. Basil contains trace mineral copper needed to absorb iron. An aqueous decoction of basil leaves is given as a tonic in gastric and hepatic disorders. Boosts the immune, fight against common colds, headaches, stomach disorders, inflammation, heart disease, various forms of poisoning, and malaria. Also used as herbal tea. 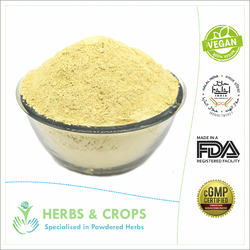 Harde Powder also is known as Haritaki Powder has a great reputation in Ayurvedic treaties for its curative effect over indigestion. According to Ayurvedic text, indigestion is the mother of all metabolic diseases. Harde has an ability to retrieve the normal digestion back and to maintain the balance of all three doshas. It is widely employed in Ayurvedic practice as a gentle laxative, blood purifier and digestive. Apart from being a good herb for health, it is also used in various hair care product formulation. Its antioxidant properties nourish the hair and help in getting control over hair fall. With the assistance of our deft team of professionals, we are able to introduce a broad array of Hibiscus Powder. This powder is derived from the hibiscus leaves and hibiscus petals. Our Ayurvedic pharmacists make to apply and use only traditional and pure methods for processing the offered powder. No preservatives or chemicals are used during the process. Users can avail various benefits from the offered powder. Also, the provided powder helps in decreasing the scalp erosion by keeping the skin moist and smooth. It also helps in making the hair soft, lustrous, and shiny. As per Indian Ayurveda practices, Jatamansi also known as Nardostachys Jatamansi helps in mental retardation and mental disorders, regularizing digestion in the body, regularizing respiratory tract and suppressing general body weakness. It is useful for urine-related problems and maintaining the circulatory system. It reduces hyperactivity, restlessness, and aggressiveness in hyperactive children. It also increases appetite, relieves a cough and cold, useful in hepatitis and effective in enlargement of the liver. Our Jatamansi Powder is also used in various hair care and treatment product formulation for hair growth. Jatamansi Powder is known as the most powerful in promoting new hair growth. We are among the prominent processor, suppliers, and exporters of 100% Natural Jatamansi Powder. 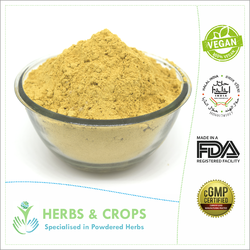 Licorice Root Powder has got its application in numerous formulations for hair and skin. The use of Licorice root powder has been found effective in promoting hair growth. Products with licorice as a base are used to treat a dry scalp. It helps the hair to grow stronger and thicker. It is strongly believed that licorice helps in reducing hair loss both through the topical and oral application. It paves way for the growth of hair follicles by trapping the essential moisture within the scalp. 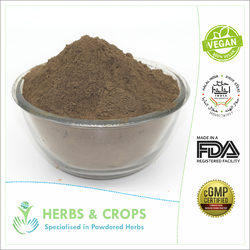 We are one of the major exporters of superior quality licorice root and licorice root powder (also known as Mulethi and Yastimadhu) from India. Manjistha Powder also known as Rubia cordifolia is known as one of the most popular Indian herb used in natural cosmetic and herbal product formulations. Manjistha promotes the healing of skin tissue damaged by injury or infection. It is very popularly used to make the complexion even. Manjistha powder is also used to help lighten dark spots. It can be combined with orange peel powder, rose petal powder, or clay to make a healing face mask. Majistha is indicated as its benefits related to blood Purifier. It is also used in various hair care formulations. We are one of the prominent manufacturer, supplier and exporter of 100% Natural Manjistha Powder from India. Keeping in mind the varied demands of our valued clients, we are offering the very durable range of Henna Powder. The provided powder is used for both garment dyeing as well as cosmetic products owing to its best results. This powder can be used as hair color. The offered powder is processed using selected superior quality henna leaves under the vigilance of adept professionals. This powder is inspected on several quality parameters to ensure its quality. As per the variegated requirements of our clients, we are offering one of the best assortment of Natural Indigo Powder (Indigofera Tinctoria). Our offered powder is highly acclaimed by our precious clients owing to its quality in the market. This powder is widely used to dye Hair in different shades from brown to black. Indigo Powder releases a Blue Dye. Its used with henna powder to get the different shades of brown. It can also be used on henned hair to get jet black hair. Our clients can buy this powder in several packaging options as per their needs at a pocket-friendly price. Free from PPD or chemicals. We are among one of the major manufacturer and exporter of Neem Leaves Powder from India. Our neem leaves powder is widely used in making various hair, skin and health care products. Leveraging our in-house production unit, we are presenting a wide assortment of Shikakai Powder. This powder is extensively used as an ingredient in processing shampoos and Ayurvedic scalp medicines. Shikakai powder clears off dandruff and dirt that accumulates in the scalp. The offered powder also strengthens the hair roots and makes hair soft, silky and glossy. The provided powder is derived from the plant's leaves. Our Ayurvedic pharmacists make to apply and use only traditional and pure methods for processing the offered powder. No preservative or chemicals are used during the process. Type Of Packing PP Bags, Kraft Paper Bags, Laminated Boxes, HDPE Drums, Customized Packaging also available. Amla also is known as Indian Gooseberry is one of the most widely used herbs in India. It is also known as Emblica Officinalis in botanical language. Amla is the key ingredient in formulating Triphala/ Triphala ( An Ayurvedic Churna ) is known worldwide, for its medicinal healing properties. Amla is famous as the richest natural source of Vitamin C. Amla has cooled, astringent, digestive, carminative, diuretic, antipyretic, and anti-oxidant properties. It is considered useful in tackling a vast array of diseases like an acid dyspeptic disease, urinary anomalies, skin problems, chest diseases, jaundice, hemorrhagic conditions, emaciation, hair and eye diseases. We being the prominent supplier of Amla powder, export it worldwide to ayurvedic formulators and users. Apart from its various application for health, its one of the main herb in making hair care products. Its richness in vitamin C helps in reducing hair fall and promoting new hair growth. Its also used to darken the hair color due to its rich Tannin content. We at Herbs And Crops offer a very premium quality of Neutral Henna Powder (Cassia Obovata). It is also known as Colorless Henna as it gives all the conditioning benefits of Henna to hair but does not dye (color) the hair. The provided powder is used as a hair conditioning product owing to its best results. The offered powder is processed using selected superior quality cassia obovata leaves under the vigilance of adept professionals. This powder is inspected on several quality parameters to ensure its quality. 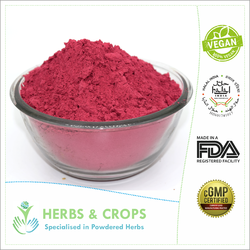 Apart from various food applications, our Beet Root Powder is very popularly used in making various color cosmetic products. It is also used in combination with Henna and Other herbs to get different shades on hair from brown to burgundy. Being a 100% vegetarian and chemical free product it gives an advantage to various people who are allergic to chemical dyes. This is one of the most suitable ingredients for henna color formulation to add a Magenta tone. We proud to offer you our 100% Pure, Natural and Fresh Nagarmotha Powder that is manufactured from finest quality Cyperus Rotundus Root collected from special geographic regions in India considered ideal for their cultivation. Our finished herbal products are rich in principle medicinal essence and are absolutely free from any synthetic additives, artificial coloring agents, pesticides or other harmful chemical substances. Thus, Our Nagarmotha Powder is 100% Natural, Pure & Safe and Adds Silkiness, Manageability, Promotes Hair Growth & Aids Falling Hair. 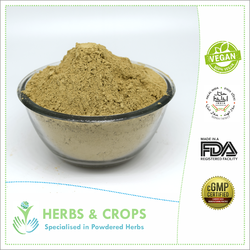 We at Herbs And Crops are expertise in offering you 100% Pure, Natural and Fresh Red Kamala Powder; that is organically processed with the naturally grown Mallotus Philippensis fruits collected from special geographical regions in India that are well-known for cultivating best quality Red Kamala. This premium grade,finely-sifted fresh Red Kamala Powder is prepared by precisely executed manufacturing processes, including cleaning, drying and pulverizing the raw herbs to get the finest quality product. We prepare our Herbal Products with special care so as to retain the basic medicinal properties of the herbs; so these are rich in principle medicinal essence and are absolutely free from any artificial coloring/ flavoring/aroma agents, sterilizers, synthetic solvents, pesticides/ insecticides or any other chemical substances. Lotus Flower Powder is very popularly used as a hair conditioning product. It is also used in combination with Henna and Other herbs to get different cooling and conditioning effect on hair. Being a 100% vegetarian and chemical free product it gives an advantage to various people who are allergic to chemical products. Multani mitti or Fuller’s earth is a natural earth material which is also known as ‘Bentonite’ is used as a facial pack and Hair Conditioner. Multani mitti is also called anti-wrinkle products. Multani mitti or Fuller’s earth is naturally occurring sedimentary clay composed mainly of alumina, silica, iron oxides, and water in extremely variable proportions that has a strong ability to absorb the impurities or coloring from bodies. When applied on hair, it gives a very soothing and conditioning effect. Sidr Powder (Ziziphus Jujuba leaf powder) is a natural cleanser plant powder rich in saponins and mucilages with conditioning, purifying and soothing properties, suitable for all hair types, oily skin, problem skin. 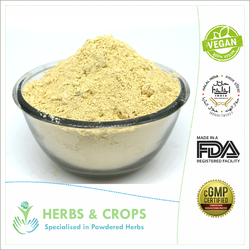 Sidr Powder is rich in astringent and purifying substances. It cleans hair and scalp deeply and delicately fights dandruff and hair loss. Mix Sidr powder with warm water or hydrosol until it forms a paste; apply the paste as a face mask on the clean skin; leave on for approx. 10 minutes; rinse with water and apply a moisturizer, Mix Sidr powder with warm water until it forms a paste; apply to hair and massage well into scalp; leave on for approx. 20 minutes; rinse well Mix sidr powder with other herbs like amla, shikakai, henna, for making instant shampoo or dry shampoo. Alkanet root, better known as Ratan Jot, is traditionally used to add color to Indian food. Ratanjot is the original natural food coloring that gives the famous Kashmiri dish Rogan Josh its signature red color. Apart from its food application, most people use the ratanjot powder for cosmetic particularly red dye necessity. Therefore, most of the benefits of alkanet root are used for cosmetic and beauty purpose such as soap and lip balm. Alkanet oil can be prepared from the root powder and it is used in lip balms for a light red color, in creams for a light pink color, in scrubs for a pink color and in soaps for a light bluish purple color. The famous Ayurveda Oil Brands use Ratanjot Powder to change the color of their oil to red. It releases red color when diluted with hot oil. 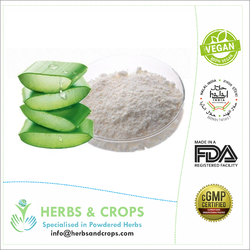 Aloe Vera Extract (Aloe Vera (Aloe barbadensis)) is utilized widely in corrective, individual care, and different items for its known reviving activity. Aloe Vera can be utilized in the detailing of medicines for skin and different body sicknesses, osteoarthritis, ulcerate colitis, fever, tingling and aggravation, sadness, diabetes, various sclerosis, hemorrhoids, varicose veins, bursitis, glaucoma. Katira Gond Powder contains an alkaloid that has historically been used as an herbal remedy for such conditions as cough and diarrhea As a mucilage or paste it has been used as a topical treatment for burns. It is used in pharmaceuticals and foods as an emulsifier, thickener, stabilizer, and texturant additiveGum tragacanth is also used in incense making as a binder to hold all the powdered herbs together. It is also used for hair care. It helps in making hair conditioning and coloring products. Used for making medicines, cosmetic products etc. Easy to apply and can be used by all genders. 100% veg & natural herbs in powder form. 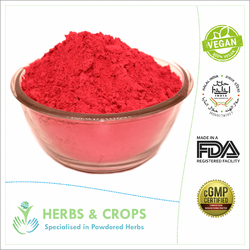 Appreciated as the leader in the field, we are engaged in manufacturing a broad array of Pomegranate Peel Powder. The provided powder is a perfect health supplement. Our offered powder is highly acknowledged across the world owing to its effectiveness and quality. This powder is processed under the direction of skilled professionals using optimum quality pomegranate with the aid of the latest machines at our production unit. The Herbs And Crops Exclusive Pomegranate Peel Extract have double the amount of antioxidants than the actual pulp of pomegranate and has high potential as a health supplement. Our Pomegranate Peel Extract offers higher yields of phenolics, flavonoids, and proanthocyanidins than the Pomegranate Fruit Pulp. Interestingly, the vitamin C content was similar for both the pulp and peel. But, Our Pomegranate peel performs significantly better than the pulp in all of the tests of antioxidant activity. As a result that is not so surprising given the relative concentrations of antioxidants in the extracts. Pomegranate skin is packed with antioxidants such as flavonoids called proanthocyanidins and non-flavonoids such as Vitamin C and Vitamin E that reduces sagging skin and wrinkles. It also purifies blood to prevent the outbreak of wrinkles, improves skin complexion and nourishes the skin. Applying pomegranate peel powder face mask hydrates the skin and locks the moisture keeping it smooth and supple. It prevents premature aging by acting as a natural barrier to UV rays. Originating from the southern regions of India, Curry Leaves Powder with lentils and peppercorn is a healthy recipe with phenomenal benefits like - it helps in stabilizing your blood sugar levels, aids in digestion, prevents skin infections, keeps anemia at bay and best of all - accelerates hair growth! If you dream of a head full of thick and glossy hair, you know what to eat! The leaves have a strong aroma, reminding one of anise and citrus. Using curry leaves for hair problems such as dandruff, hair fall, and graying hair can be extremely beneficial. Curry leaves contain iron, calcium, vitamin C, and phosphorus. It is also high in proteins, carbohydrates, and fibers. Usage Hair Loss, Dandruff etc. Looking for “HERBS FOR HAIR CARE”?